Elbit Systems’ accumulated experience, expertise and wealth of innovative, in-house technologies are reflected in a full range of force-multiplying solutions that give Special Forces the all-important edge. The company’s comprehensive systems and product range assures that these forces, which play pivotal roles in today’s combat scenarios, achieve the enhanced survivability, situational awareness and manoeuvrability essential to optimum performance. 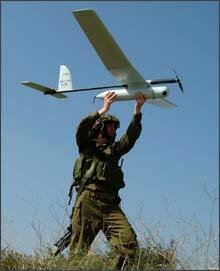 Skylark® Mini UAV – A mini/man-pack UAV specially designed for counter-terror applications. Performance-proven in cloudy, rainy and windy weather conditions, Skylark® I has demonstrated excellent optical survey, target identification and surveillance capabilities. It features a gyroscopic stabilised gimbaled payload and a high degree of autonomous flight from take-off to precise recovery, yielding real-time intelligence at an affordable price. This configuration, equipped with algorithms derived from Elbit Systems’ Hermes® family of larger UAVs, can track fixed and moving targets, an impressive capability for a hand launched UAV. Skylark® I can be used for both defense and homeland security applications including perimeter security, border and coastal surveillance, anti-terrorism surveillance and a variety of law enforcement missions. Skylark® I is equipped with the latest secured digital data link. Skylark® I has already been purchased by numerous customers worldwide, and is operational with several other armed forces. Skylark I has already accumulated over 11,000 successful operational sorties, 600 of them in operation “Cast Lead”. The UAS is currently operationally active in several theatres of the global war on terror. In early 2008, Elbit Systems presented the latest Skylark I air vehicle improvement and marked it “Skylark I-LE”. The new model is based on the vast experience accumulated by Skylark® I in thousands of hours in operational flight in various war zones, including Israel, Iraq and Afghanistan. In addition to major improvements implemented, owing to the rich operational experience, the UAV has been upgraded to offer longer endurance of up to three hours and l enhanced robustness, two crucial features that ensure the overall improved operational performance. In December 2008 the Israeli Defense Ministry selected Elbit Systems to equip the IDF battalion-level with the Skylark I-LE for all Ground Forces, including training and logistics support. VIPeR® (Versatile, Intelligent, Portable Robot) is a small, lightweight, one-person portable robot, capable of climbing stairs and obstacles to carry out a variety of missions, saving soldiers lives and enabling more effective combat performance. 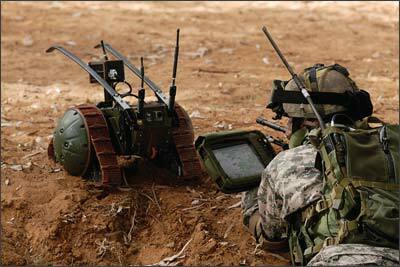 VIPeR® was developed for the Israel Defense Forces (IDF) within the framework of its Portable Unmanned Ground Vehicle (PUGV) program, and in close cooperation with the Israeli Ministry of Defense’s Directorate of Defense R&D (DDR&D) and currently serves the infantry platoons. Silver Marlin – A medium-sized USV featuring autonomous obstacle avoidance sensors and controls, capable of carrying a wide variety of payloads including Elbit Systems’ Electro-Optic Naval payload and Remote-Controlled Stabilised Weapon Station. Stingray – A high speed marine vehicle equipped with a miniature, portable Mission Control Station (mMCS) from which operators can monitor and operate mission payloads and execute mission plans. Operation are either via remote control or totally autonomous. Both Stingray and Silver Marlin incorporate Elbit Systems’ extensive experience in UAVs and feature autonomous navigation and position capabilities, cruise sensors and stabilisation systems to prevent capsizing. Designed for homeland security and coast guard applications, the new USVs are also highly adaptable to naval combat ISR and EW missions. Both USVs are set to significantly enhance naval capabilities and play important roles in a variety of naval missions. PLDR – The company’s “flagship” next generation PLDR weighs 5.5 kg and designates to ranges of 10 km. Ruggedised to meet and even exceed harsh environmental conditions. It can be carried by an individual soldier and used for stand-off designation for maximum protection. The PDLR features electronic compass and GPS, tactical computer for targeting laser-guided munitions. MARS – An un-cooled hand-held thermal Target Acquisition System that’s both lightweight and compact. MARS is low on power consumption and can be operated for more than 8 hours. These features make MARS an optimal solution to a wide range of applications including, security and perimeter defense, infantry, scouts and special units and target acquisition. CORAL-LS – A medium range hand-held thermal camera with extended thermal and see-spot range – the choice of several NATO nations. 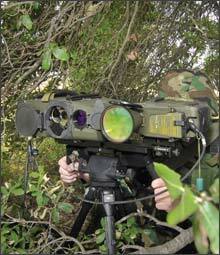 CORAL-CR – A hand-held, lightweight thermal imaging Target Acquisit5ion System. TORC3H (BMS Mounted/DisMounted) – An essential to virtually any soldier and combat mounted sensor or weapon system providing commanders and crews with a simplified operational interface, enhanced situational awareness and data communications. PDU (Personal Digital Unit) – Ruggedized, tactical powerful computer especially designed for the individual infantry warrior. Assures data processing and storage capabilities. Hand-held Display – A compact portable display, sunlight readable, 5.6” or 8” touch panel screen and operation function keys. IED Jammer – Provides a “protection bubble” to both vehicle and fighters against remotely-controlled IEDs. Offers wide frequency coverage (MHz to GHz) and interoperability with communication radios. TIGER® (Tactical Intranet Geographic Dissemination in Real-time) – enhances real-time decision making at all force levels by unifying all channels, integrating them into one dynamic tactical intranet and creating interest-based, geographic data dissemination. Elbit Systems Tadiran PRC-710 MB – is an advanced, secured multi-band, frequency-hopping hand-held radio, covering VHF and UHF tactical bands and facilitates voice and data communications between air, ground and naval forces. Elbit Systems Tadiran PNR-500 (Personal Net Radio) – is a fully-functioning UHF communicator enabling 3-way conferencing on a single channel, supporting air, sea and ground communications.